Cambond became a member of Agri-Tech East. Agri-Tech East is an independent, business-focused cluster organisation to improve the international competitiveness and sustainability of agriculture and horticulture. It is bringing together farmers and growers with scientists, technologists and entrepreneurs to create a global innovation hub in agri-tech. 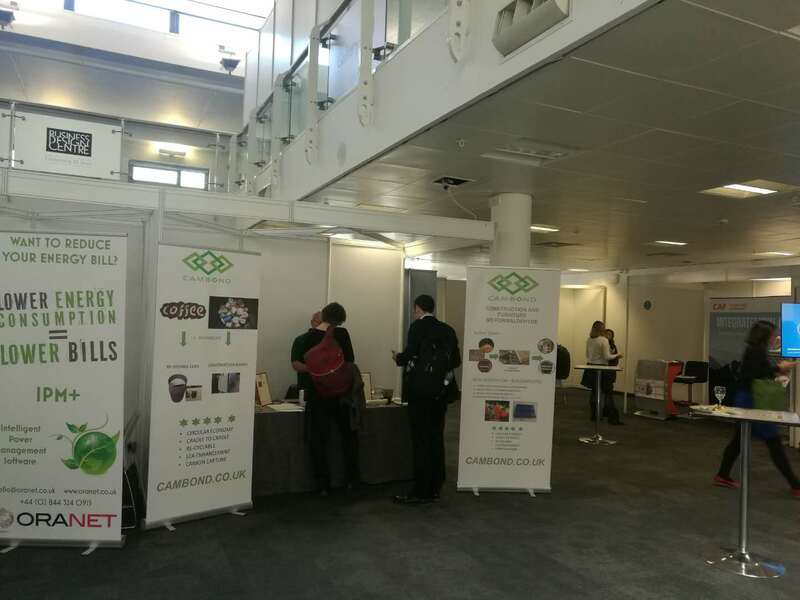 To join Agri-Tech East, Cambond is dedicating it’s focused technology platform in application of agricultural biomass to serve the UK clean-tech, sustainable and circular economy industry. 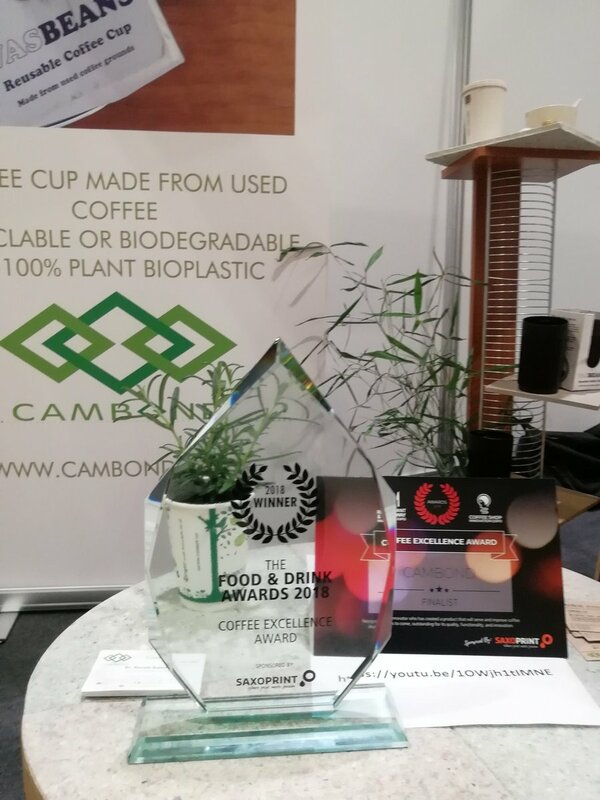 Cambond, a tenant at Allia Future Business Centre Cambridge has won a ‘Coffee Excellence Award’ for its furniture made from disposable coffee cups – the first of its kind in the world. 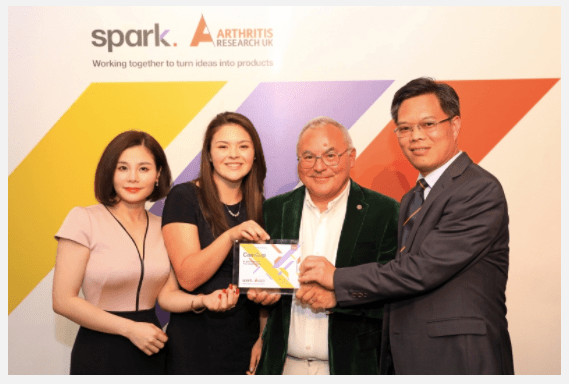 16 March 2018, Cambridge News- A Cambridge company developing a plant-based alternative to plastic has won £40,000 after advancing to the final of a national innovation competition. 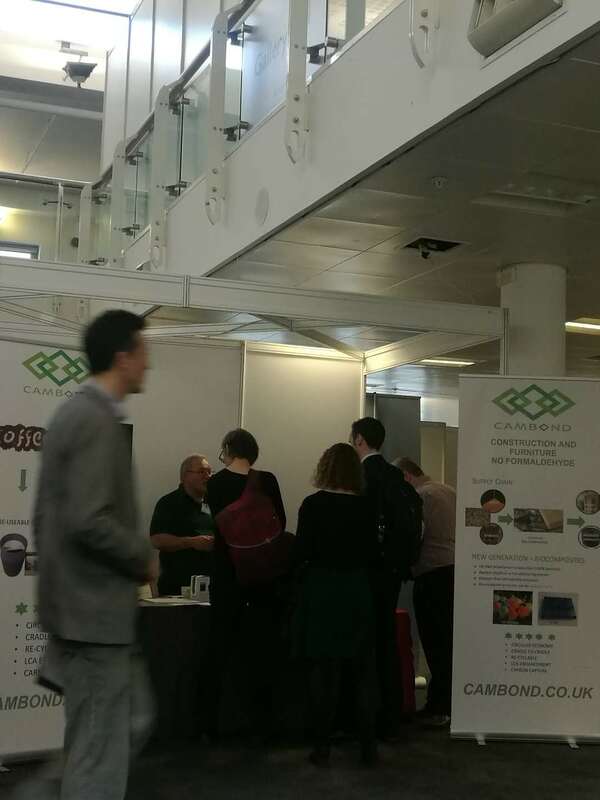 Cambond is one of the regional winners of the Shell Springboard programme, which is run by the oil company to encourage the development of new low-carbon products and services. The company will now progress to the national Shell Springboard final, taking place in London in May. The national winner will receive a further £110,000, taking its total prize to £150,000. 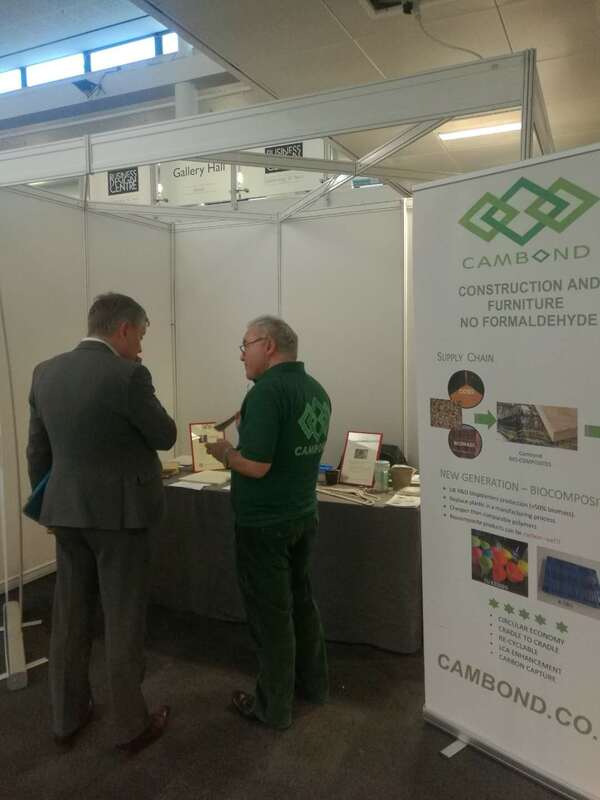 Cambond has developed a plant based resin with a range of biomass fibres and polymers to make CAMPOSITE, a planet friendly alternative to plastics. Cambond were announced as one of the three regional winners at a ceremony held at Trinity Hall last week. Also progressing to the national final were Brill Power, which develops cutting-edge battery management technology to increase the lifetime of lithium-ion battery packs for grid-scale energy storage and electric vehicles and Seawater Greenhouse, which uses sunlight, wind and seawater to grow crops in arid coastal environments. As well as their cash prizes, the finalists receive essential business advice; from growing their business and building their brand through to guidance on getting the most out of other Shell initiatives, like the access to finance navigator, which helps low-carbon entrepreneurs identify and access new sources of funding. 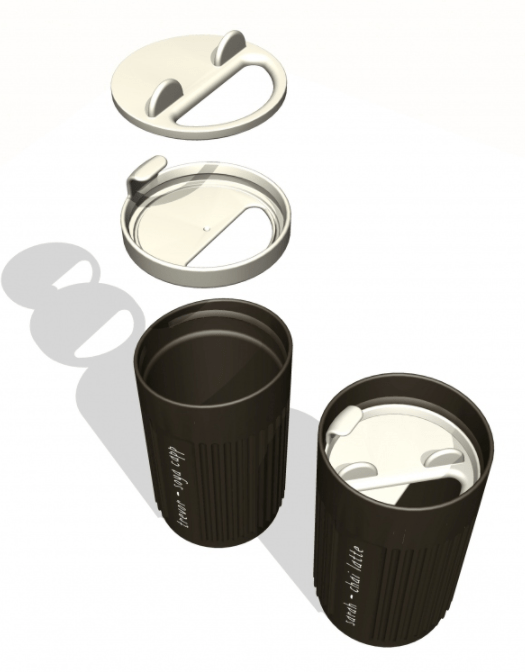 Camcup is a re-usable cup made using the waste produced by our global caffeine addiction – spent coffee grounds. 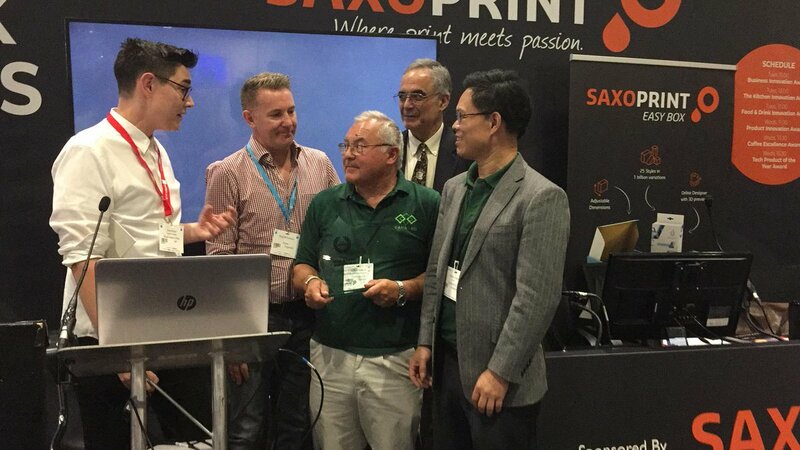 Inventors Gareth Roberts and Dr Xiaobin Zhao came up with the product as a way to showcase their new fusion of plant and plastic technology, which recycles waste, reduces carbon emissions, and saves the customer money. “Taking part in Design Council Spark has completely energised us and transformed the project,” says Gareth Roberts, entrepreneur and co-inventor of Camcup. “We started out the process with a background technology and just one product to serve as an example of it, and now we have a whole new business”.